At the crossroads of New York, this big-little city is a great place for those who want access to all that the state has to offer. When you plan on moving from NJ to Syracuse, you'll want to hire the right mover to safely transport your items through busy cities and highways to your new home. The BBB-Accredited, Simonik Moving & Storage has been just such a company since 1977. Our team is dedicated to customer satisfaction through great service. We have even become award-winning agents for Allied Van Lines. Simonik is a part of a nationwide network of hundreds of movers and storage companies connected with this major carrier. We can use their resources to swiftly complete your household move to any location in the country. We also offer short- and long-term storage options when more time is needed for you to move from New Jersey to Syracuse. Our team will pack your household items in long-distance shipping containers for storage in our secure warehouse facility. These containers remain undisturbed until you are ready for delivery of your belongings. We strive to remain current on the requirements associated with conducting long-distance moves. Simonik gets the latest news and information as certified ProMovers for the American Moving and Storage Association. With it, we're able to properly relocate customers throughout North and Central Jersey, including Hunterdon, Mercer, Middlesex, Monmouth, Morris and Somerset counties. We're even able to help you complete your NJ to Syracuse move without problems. As a dedicated company, we've been recognized with the 'Mover of the Year' award from the New Jersey Warehousemen & Movers Association for our service to customers throughout the region. 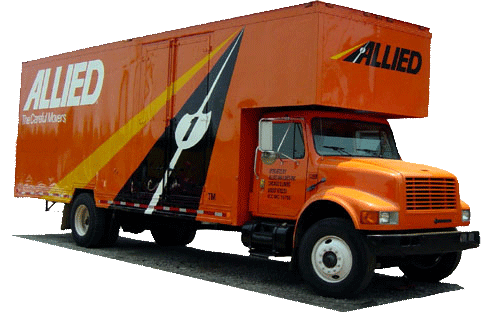 No matter the scope or your relocation, our NJ to Syracuse moving services can fulfill your needs. Find out more by calling Simonik Moving & Storage, or you can fill out our online quote form to request your free, no-obligation moving estimate right away!